I participate in a prayer and card group and on a weekly basis I receive emails for people needing prayer and requesting cards...so I'm always in need of thinking of you cards. My stash is getting low and I decided to work on those today. 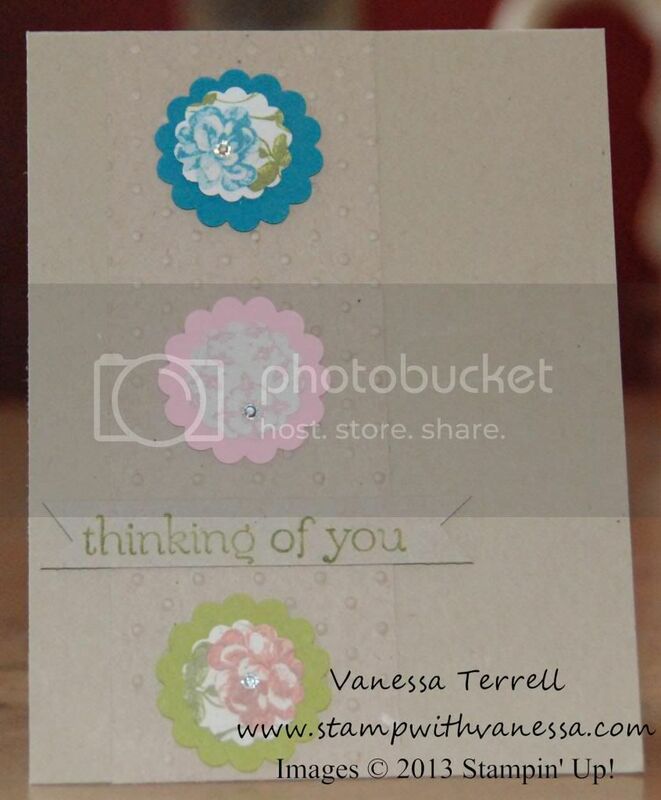 I used scraps from Tea for Two and Print Poetry DSP to create my cards. 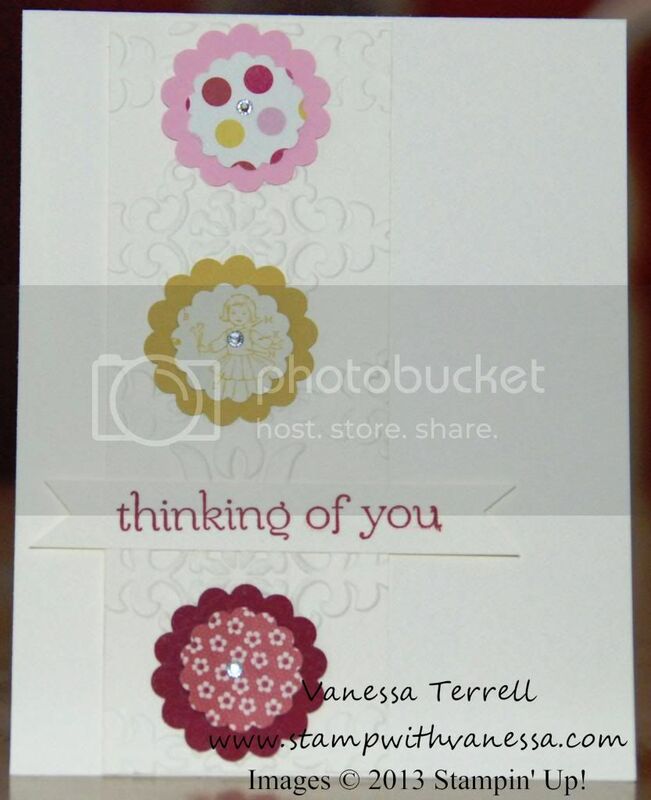 These cards were so fast and easy to create I think I will do more of them this weekend using other types of paper. Here is what I came up with using the Tea for Two DSP. Here is the other one using the Print Poetry DSP.